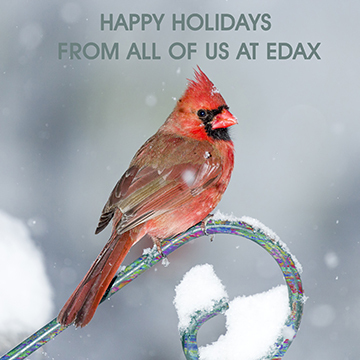 Happy Holidays from All of Us at EDAX! Thank you to all the followers of our blog – we hope that you have been entertained, informed and amused by our posts this year. We will be taking a break until the second week of January 2019, but if you need any extra diversion over the holidays, don’t forget to take a look at the resources we have shared with you during the year and catch up on anything you may have missed. We wish you a happy and healthy New Year and look forward to talking to you again in 2019.